He started as the emcee of the hip-hop duo DJ Jazzy Jeff & the Fresh Prince, with his childhood friend Jeffrey "DJ Jazzy Jeff" Townes as turntablist and producer. The duo was known for performing humorous, radio-friendly songs, most notably "Parents Just Don't Understand" and "Summertime." They gained critical acclaim for winning the first ever Grammy in the Rap category (1988). Smith was a charismatic and energetic performer but he was nearing bankruptcy when in 1990, the NBC television network signed him to a contract and built a sitcom, The Fresh Prince of Bel Air, around him. The show was successful and helped revitalize his career. Although he made a notable dramatic film debut in Six Degrees of Separation (in which he played against type as a gay con man) while still appearing in The Fresh Prince of Bel-Air, Smith's film career took off with his role in Bad Boys (1995) along with co-star Martin Lawrence. 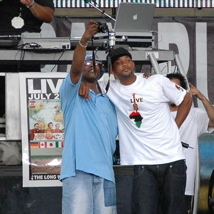 After The Fresh Prince of Bel-Air ended in 1996, Smith began a successful solo music career while simultaneously starring in a series of films. The first two films were hugely successful summer blockbusters: Independence Day (1996), in which he played a fearless and confident fighter pilot, and Men in Black (1997), where he played the comic and confident Agent J against Tommy Lee Jones's deadpan Agent K. Smith's acting in Men in Black won critical praise. The two films established Smith's commercial reputation as a bankable star whose appeal across age, race, and gender lines could "open" a film at the box office. Lead roles in Enemy of the State, Wild Wild West, Ali, Men in Black II, Bad Boys II and I, Robot then followed. His most recent film is 2005's Hitch. (Like Smith, Hitch co-star Kevin James starred in a sitcom named for royalty, The King of Queens.) Smith was nominated for an Academy Award for Best Actor for his portrayal of the boxer Muhammad Ali in Ali. Smith also released a string of hit singles, often associated with his most recent film, throughout the late 1990s. The most notable of these were his #1 hit theme song "Men in Black," the #1 hit "Gettin' Jiggy Wit It" (which made jiggy a catchphrase for a while in 1998), and "Just the Two of Us," an affecting message to his young son. His first two solo albums went platinum, but his third, on Columbia Records, was a sales disappointment compared to his past efforts, and after a quick Greatest Hits release that was almost not advertised at all, he was dropped by the label. He signed a recording contract with Interscope Records and released the successful Lost & Found in 2005. The album was propelled solely on the smash hit single, "Switch," which appealed to the mainstream media ala "Summertime." 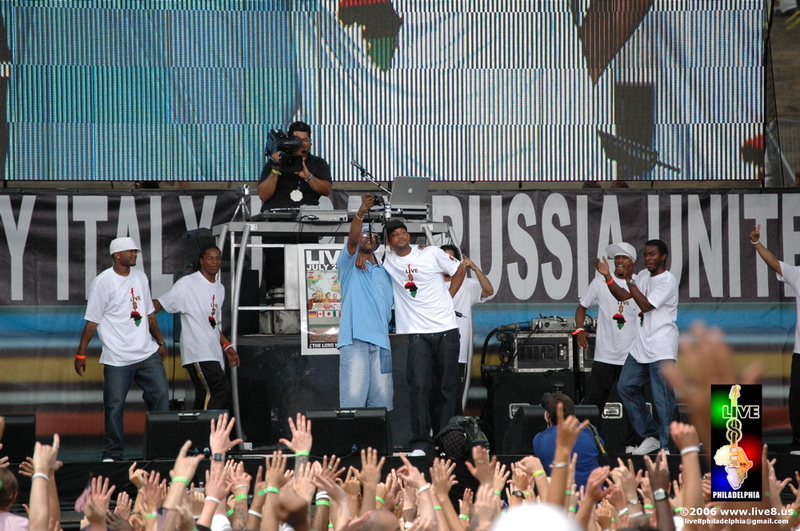 The single stayed atop the charts for months and returned Smith to the forefront of Hip Hop. Also, on February 6, 2005 he appeared in Super Bowl XXXIX. Smith married Sharee Zampino in 1992. They had a son, Willard Christopher III, also known as "Trey", but divorced in 1995. Smith married actress Jada Pinkett in 1997. Together they have two children: Jaden Christopher Syre (born 1998) and Willow Camille Reign (born 2000). Along with his brother, Harry Smith, he owns Treyball Development Inc., a Beverly Hills-based company named after his first son. He has been consistently listed in Fortune Magazine's "Richest 40" list of the forty wealthiest Americans under the age of 40. Will Smith has been criticized for his lip service to his home town of Philadelphia, PA. Several of his songs talk about parts of Philadelphia and the surrounding areas. While he has spoken over the years about how much he loves the city and how much he wants to give back, none of his proposed ventures in the city of Philadelphia have ever been adopted. He has proposed opening a restaurant, several upscale bars, and a community center in Philadelphia which have never seen development. It is rumored that production will begin on Men in Black 3 sometime in 2006, with the film set for release in 2007, 10 years after the 1st film: Men in Black. Will Smith is also planned to star in a feature film remake television series of It Takes a Thief. Willard Christopher Smith Jr. (born September 25, 1968 in Philadelphia, Pennsylvania) is an Academy Award-nominated American actor and a multiple Grammy winning hip hop artist. He is one of few people who have enjoyed huge success in the three major entertainment media in the United States: film, television, and the music industry. Will Smith was born and raised in Philadelphia, Pennsylvania, Through his cut-up behavior, he had already obtained the nickname "fresh prince" in high school. He is a graduate of Overbrook High School. Smith turned down acceptance and admission to M.I.T. to pursue a career as an emcee.